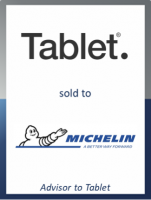 GCA Altium has advised Tablet, an online travel agency which specialises in boutique and luxury hotels, on its acquisition by Michelin. Tablet, the first online travel agency to specialise in boutique and luxury hotels, was founded in 2000 by Laurent Vernhes and Michael Davis. Based in New York, it features around 3’500 hand-picked hotels in over 120 countries and is trusted by more than 40'000 active customers every year. Its industry-leading membership club, Tablet Plus, a paid loyalty program with over 12’000 members, provides perks such as room upgrades, free breakfast, airport transfers or spa credits in participating hotels.